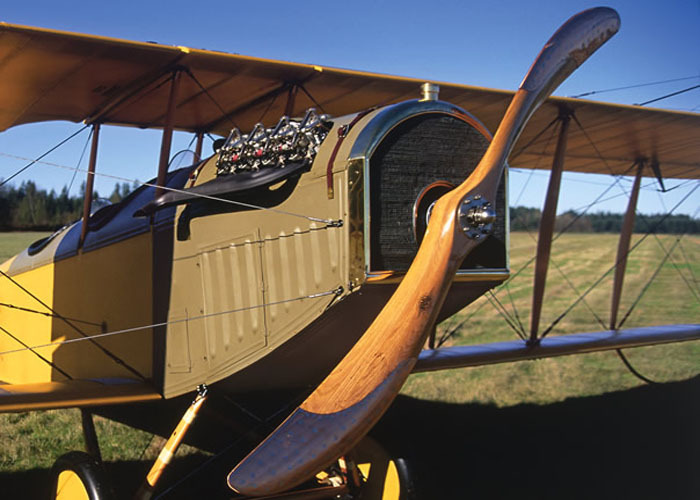 Join us for a Fly-out/Drive-out trip out to Poplar Grove to visit with Don Perri and check out the latest developments on the Curtiss JN-4 “Jenny”replica being built in EAA Chapter 1414’s hangar. Afterwards, we’ll refuel at the Hydeout Bar & Grill(http://hydeoutbar.com/) in Poplar Grove. We’ll be car/plane pooling, as available, departing from Galt at 9am on Saturday morning. The tour starts at 10am. Poplar Grove is 45 minutes away by car. (Entry is from Orth Rd.) Park at the museum. The museum’s address is 5151 Orth Rd, Poplar Grove, IL 61065. Anyone who wishes to fly is welcome The Jenny is in the EAA Chapter 1414 hangar near the Wings and Wheels Museum located at the north end of Poplar Grove Airport. Airplanes can park on the ramp just southwest of the museum.